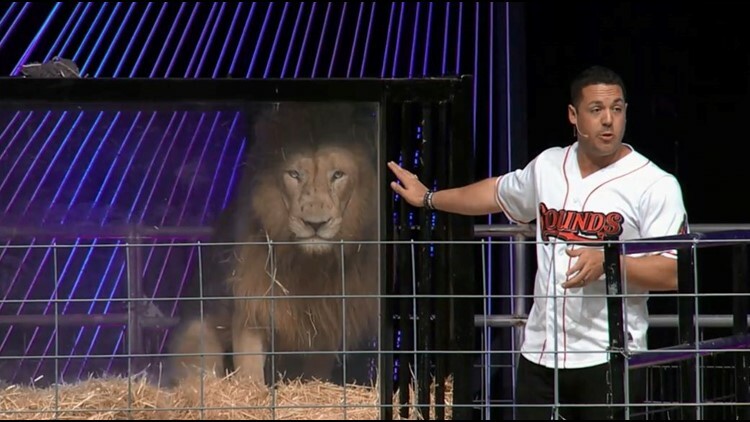 Pastor Galen Davis of Cornerstone Nashville church preaches in front of a lion on Sunday, Aug. 12, 2018. This is a screenshot from the church's video of the sermon. 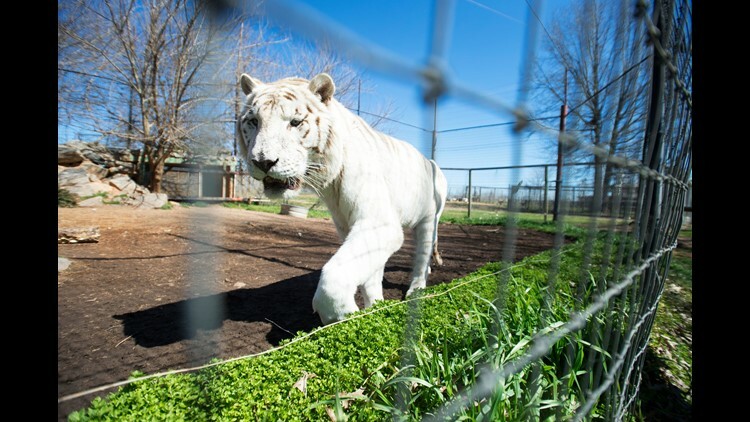 Diamond, a white tiger, walks by the fence line at Hollywild Animal Park on Wednesday, March 2, 2016.